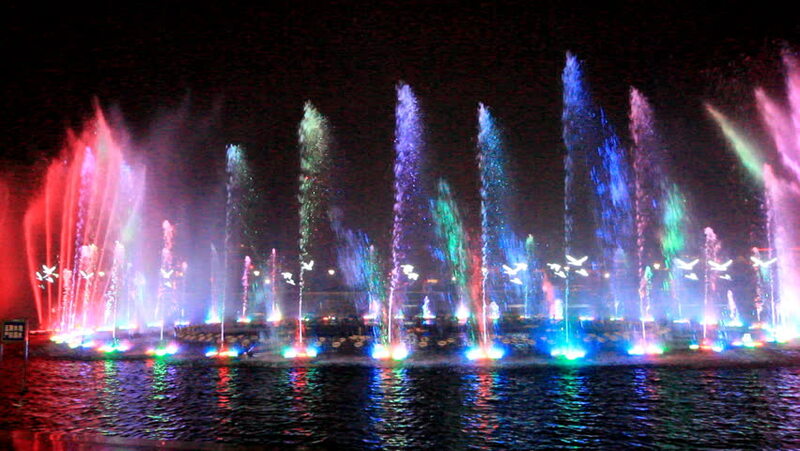 hd00:24Evening Musical singing fountains show. Sharjah, UAE. hd00:32VINNITSA, UKRAINE - AUGUST 23, 2014 : Musical fountain 'Roshen' with colorful illuminations at night. It is the largest in Ukraine and Europe floating fountain. 4k00:20Magic of water light fountain at Dok Krai Reservoir Rayong Thailand.